Sunrise Divers accepts payment online by credit card. We have a secure payment system in cooperation with the Siam Commercial Bank in Thailand. Payment for any trips departing from Thailand including day trips, dive courses and liveaboards in Thailand and Myanmar, can be made by Visa or Master Card with no added fees. The secure online payment is safe and easy to use. If for any reason you do not like the idea of secure online payment, payment can also be made by direct bank transfer (made simple these days by e-banking) – We have several options available, please ask us for details. For your security, our bank does not accept credit card payments made over the phone, and please do not send any credit card information by email. 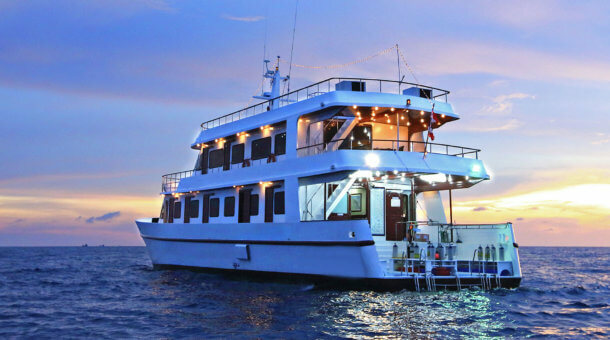 To confirm your dive trip or dive course booking, we need payment and a completed booking form. For trips in Burma and Indonesia we may also request further information from you at the time of booking, such as passport details, a copy of your passport and/or flight information. Please use our Online Booking Form to send us your personal details, dive certification details and equipment rental needs. There are different booking forms for different destinations. Before making any payment, please email or telephone to check availability for a trip or dive course, or use our enquiry form, and wait for confirmation that spaces are available and that a reservation has been made for you. A reservation means we are holding a space for you. Often, especially during busy periods we cannot hold a space for more than a couple of days. For last minute bookings we would need payment right away, as spaces would be available on a first come, first served basis. If there is a delay between reservation and payment, please double check that your reservation is still valid. If you have any questions about your reservation, about prices, about other dive trips, extra fees, or need any further information, please contact Sunrise Divers. We are always here to help you! 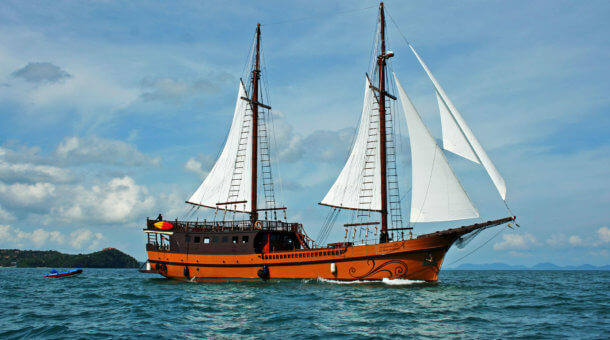 Indonesia Liveaboards – Payment is normally made by bank transfer either in Euro or US Dollars. Price Changes – occasionally trip prices may rise or fall slightly during the course of a season due to exchange rate fluctuations. The price you pay is the price at the time of booking, no matter if the trip price subsequently rises or falls. Boat operators reserve the right to add or alter fuel surcharges for pre-booked guests. National park fees can also change between the time of booking and your departure date. Such charges are out of our control and are paid locally rather than in advance. All divers should have personal Travel Insurance – be very sure that your insurance covers scuba diving. We recommend insurance from DAN, Dive Assure or World Nomads. Or you can pay 250 Baht per diving day to us when booking for coverage up to 500,000 Baht from Viriyah Insurance. We also suggest you have trip cancellation insurance. Why Book with Sunrise Divers? 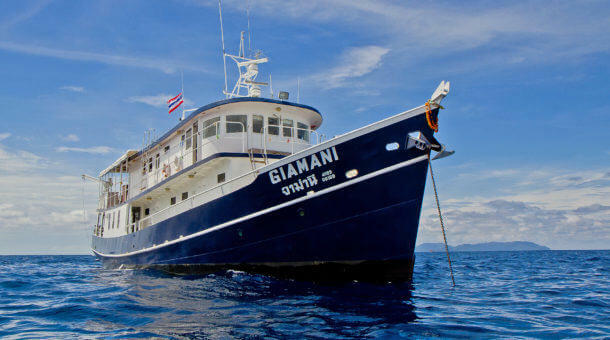 Operating in Phuket since 1999 – 18 years of local experience! 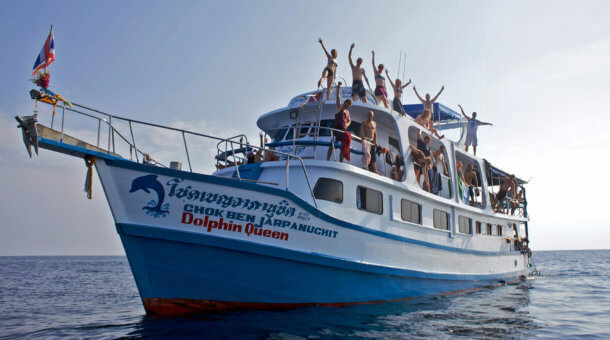 Unlike online agents, we are a real Phuket dive center with a real shop!